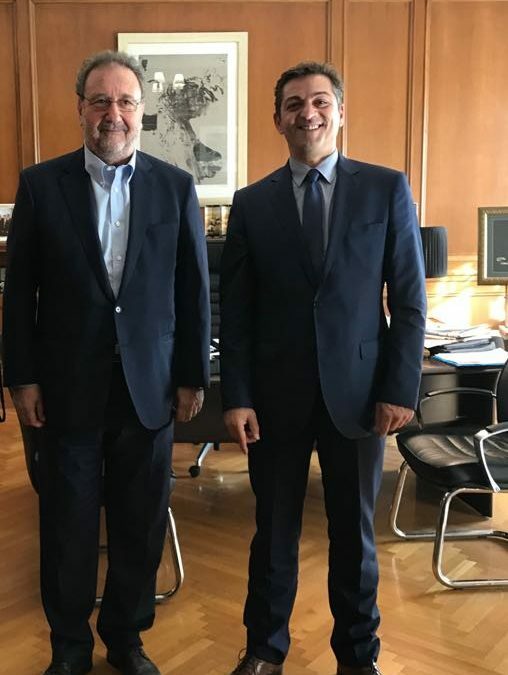 On Friday 2 November 2018 a delegation of our Organization headed by President Andreas Apostolopoulos met with the Deputy Minister of Finance and Development, Mr Stergios Pitsiorlas. The representatives of the Organization have put to the Minister the most important issues that concern our member companies, who for his part stressed that he accepted most of them and will be the subject of a study in order to proceed with the necessary adjustments. Our Organization has filed written proposals to the Minister of Economics to substantiate his claims, which you can see here.